are an easy and conservative income-oriented investment strategy. or to help find new investment opportunities selling the best covered calls. The covered call strategy is conservative in nature, consistent in its ability to generate recurring monthly income, and simple to execute. The facts show that most stock options held until expiration expire worthless. Selling options to other people is how many professional traders make a good living. We're here to make it easier for average investors to do just that. Anyone who owns stock can sell covered calls against their shares for extra income. Multiple studies have shown that covered calls are superior to the popular buy-and-hold strategy. Barron's: "A terrific tool for those who generate income by selling calls against existing positions. Born To Sell gives covered call traders some great ideas." TheStreet.com: "One of the best covered call tools I have come across in a long time." If you change one of our Search filters (any slider, checkbox, etc.) you see the results update immediately. You never have to push a Search button and wait for an entire new page load to see the results. We use modern web design principles to make your choices clear and easy to understand. 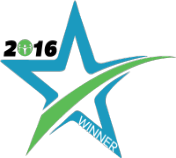 It is our belief that you can make money with covered calls by keeping the software and process simple. Our software saves you time. Most covered call writers spend a great deal of time creating and updating a custom spreadsheet they use to track their positions. Our Portfolio features take care of this for you. For example, our Dashboard lets you see at a glance how much time premium remains in each of your positions so you can quickly decide if it's time to modify or exit any of them. You'll also get a Personal Calendar with earnings release dates and ex-dividend dates for all your positions. And our Top 10 page shows you the most popular covered calls. Plus weeklys, updating prices during market hours, rolling calculator, income goal, etc... Check out our features. 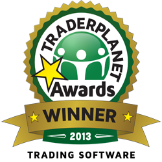 Our software is award winning. 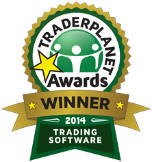 1st place for Trading Software in the STAR Award contest in 2016, 2014, and 2013. We have a free trial. You can try everything we have free for two weeks. We're confident you'll like what you see. And if not... well, maybe you could try to eat some ice cream and then come back when you're in a better mood.